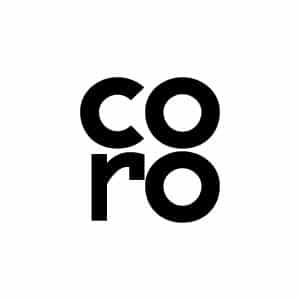 CORO came into being at the end of 2002 with the aim of making a place for itself in the still little-developed outdoor furniture design market. The impact of CORO’ s presentation to the press was immediately positive, the quality of the imaging and the expression of the company philosophy receiving universal applause. CORO is first of all an idea: our motto is time to live in freedom; that is our concept of furnishing. We would like to create objects that invite us to look at the world from a new, incredible, perspective to give form to the pleasure of living. Each object is a different expression of beauty; it is a piece of furniture in the real sense of term. Lightness of elements, minimalist forms and harmonic proportions, this is what we aim at. The first collection, designed by Stefano Gallizioli, is a complete concept, from seats to BBQ. In 2006 he presents NEST a collection of sofas intended for outdoor use. The variety of elements and dimensions allows to customise any area. Afterwards the company hails the projects of James Irvine with the Zeta collection. Starting by Gala Wright CORO begins a co-operation with young designers, recently JoeVelluto. More recently for the contract field we introduced new project of the Maze collection designed by Matteo Nunziati. The sector of interior design is specialized in Luxury Hotels, Residences, wellness Centres Spa, which have been produced all over the world. Presented in Milan 2009 PERGOLA It enters a new dimension creating an original corner more and more personal and comfortable. Ilaria Marelli presents Cocotte a soft and funny armchair wich emphise the playful look. Matteo Nunziati at Milan 2014 is offering Sabal,a range of sofas a product not just as separate item but in the context of its relation ship with the surrounding and multiple functions of the Outdoor. The accurate selection of the raw materials is expressed with the use of satin stainless steel for frames. PVC nylon cord for dressing the backrest and the acrylic cord maintein durability and colour of the products used both indoors and outdoors unchanged over time. Our slats are made of polyurethane foam shaped out of moulds made exclusively for our items, is an inert material particularly for outdoor use, as it is not subject to variations due to temperature and atmospheric agents. Stratified laminate, is the best to guarantee high quality. Tested against cigarettes burns, termites, bending traction compression durability and abrasion. Special acrylic fabric & a nautical dryfeel pad, 100% tested for outdoor use, are the materials cushions are made of. 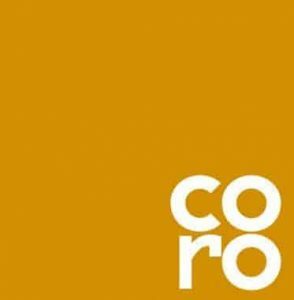 NEED MORE CORO INFORMATION ?